The design of Adhesive Tape Slitting And Rewinding Machine is a combination of many excellent rewinding machines. It is a clever combination that can greatly improve production efficiency, which is 1.2 times that of ordinary rewinding machines. No matter what type of rewinder is used for a long time, it will inevitably have some minor problems, which will cause inconvenience to the production. As long as we pay attention to the usual maintenance, we can avoid some minor problems. 1. 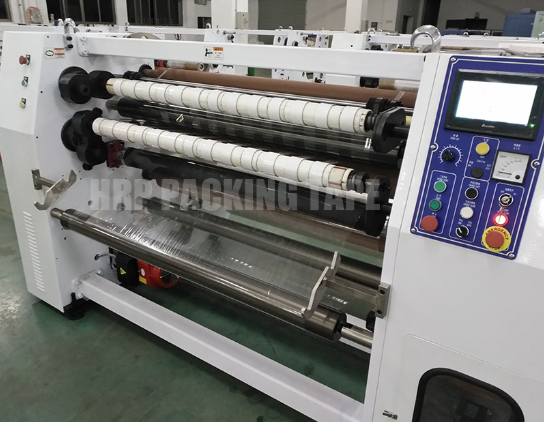 The gears of the winder in Adhesive Tape Slitting And Rewinding Machine Factory, such as chains and gears, should be filled with butter every short time. 2, the rewinding machine is generally a print knife is easy to break, so usually we must check before use. 3. The wool roller of the winder will become thinner after one year of use, and we must replace it in time. 4. When the power supply is unstable, the rewinding machine must be powered off immediately, otherwise it is easy to burn the motor. 5, pay more attention to hygiene, do not let debris fall between the roller and the roller. As long as you do the above, you can avoid unnecessary small problems and extend the service life of the winder.